Doctor Who: Companion Pieces - ROMANA (II) | Warped Factor - Words in the Key of Geek. Tony Fyler pays tribute to a Time Lady. When the Doctor Who Production Team first teamed the Doctor up with a Time Lady (yes, we’re old-fashioned too), it was one of the boldest moves in companion history – while the very first companion, Susan, had been (we assume) a Time Lady, she existed in an era of the show before the nature of regeneration had been invented. There had been clever companions since, Vicki of course, and Zoe frequently thought she was more than a match for the mop-topped Time Lord, but to actually pair up the vagabond time traveler with another of his race, a Time Lady who would be his equal in most things, and his superior in some, was a move of breathtaking daring. Against a Doctor less definitive than Tom Baker’s Fourth, it could easily have tipped the balance and taken the focus of the show away from the lead. Mary Tamm’s ice-cool First Romana seems at times to have had designs on doing precisely that, and there’s no reason within the storyline why this should not be the case – but together the Doctor and the First Romana found a balance. Her aloof book-learned skills gave her a delicious untouchability and an aristocratic arrogance that saw her make mincemeat of some lesser rogues, but her lack of actual experience was balanced by the Doctor’s universe-smarts, meaning that as the single season in which they were paired went on, there was a harmony that developed between the two. Sadly though, the writers felt the need to make Romana a little more ‘typical screaming companion’ – a shocking waste of Tamm’s talent in retrospect - and she decided to call time on her involvement at the end of the Key to Time season. Of course, the joy about having a Time Lady on board the Tardis is that, as with the Doctor, all the investment that’s been put into the character doesn’t need to be sacrificed when the actor leaves. You simply recast and begin again with a new incarnation. Lalla Ward had played a leading role in the six-episode depressionfest that was The Armageddon Factor, the final story of the Key To Time season, and Tamm recommended her to the Production team as a viable Second Romana. The change was familiar in some ways – the same sort of thing had happened between Jon Pertwee’s first two seasons – the intellectual, challenging, aloof Liz Shaw had been replaced by the softer, more loyal and intuitive Jo Grant so as to allow for a better chemistry between the Doctor and the companion. When, after a parade of would-be Romanas in the opening sequence of Season 17 opener Destiny of the Daleks, Lalla Ward appeared in a very pseudo-Doctor outfit, the tone of the new incarnation was clear – the First Romana had decided to stay with the Doctor, but with an almost calculated regeneration, she had decided on something that would work more closely with the Doctor she had. There’s no sense of post-regenerative angst for the Second Romana – she’s immediately entirely present, swapping banter with the Fourth Doctor on Skaro. Her encounter with the Daleks feels like their first meeting, as Ward shows a sense of genuine fear before the ranting metal maniacs (though later audio stories pitching the First Romana against them means this might just have been a side of her new personality). That personality as it develops is mellower than her first incarnation, more hands-on and get-stuck-in. There’s also a sense in which the Second Romana is quicker-witted and sweeter-natured than the First – from the banter with the Doctor in City of Death – ‘Shall we take the stairs or fly?’ ‘Let’s not be too ostentatious.’ ‘Oh alright, let’s fly then.’ ‘That would look silly.’ – through to her technical nous in the same story – she takes one look at Scaroth’s time experiment and realises both its potential and its flaws – the Second Romana feels like she has easier access to the vast knowledge of the character than the First did, and she’s not above getting her hands dirty – in City of Death, without the Doctor’s say-so, she builds the piece of kit that allows Scaroth to complete his plans, and in Nightmare On Eden, she’s instrumental in separating the two ships, The Empress and the Hecate. There’s a sense of Romana having graduated from her initial mission with the Doctor, and now, staying with him for the thrill of it all. Perhaps understandably then, there are two distinct modes of Ward’s performance – there’s the easy, travelling companion banter, and, when faced by the appalling enormity of some of the dangers their travels expose her to, there’s more in the way of breathy exclamation – and a bit more screaming. The Leisure Hive is a case in point – Romana there goes from 0-60 and back again in a handful of scenes as the true purpose of the Tachyonic Generator becomes clear. But never let it be said that the Second Romana was somehow less of a Time Lady than the First – in Meglos she more than holds her own when faced with another bunch of thugs, leading the Gaztaks round in circles and then into a trap - although the last Zolpha Thuran rather freaks her out, as it would anyone who hadn’t come across the idea of intelligent cacti before. In Doctor Who historically, there are leavings that make sense, and there are leavings that really don’t. Sarah-Jane’s leaving made little in the way of sense. Leela’s was hurried but if you really understood the character, you could work your way to a place where it made sense within the character-arc. The Second Romana’s leaving made very little sense at all. There’s little reason to believe she would feel a particular pull towards the time-sensitive Tharils, or be drawn especially to help them in their plight, except that the more generalised compassion of the Second Romana makes her more connected to the pain of others. The character’s leaving had more to do with the deterioration of the relationship between Ward and Baker – they had gone from attraction to marriage in a hurry, but the relationship soured and the last few stories of their run saw them openly hostile in rehearsals, often barely making eye contact. So the Second Romana left in a less than believable way, when to quote the Tenth Doctor, she could have done so much more, though of course with Baker himself set to quit the show shortly after her, how the Second Romana would have fitted with the younger, more circumspect Fifth Doctor can only guessed at. Many companions of course have gone on to have an extended life in the Big Finish audio range. Few have had so prolific an afterlife as the Second Romana though – returning from E-Space to become President of the Time Lords through no fewer than six series of Gallifrey stories, which have seen her tackle alliances with time-sensitives, a Morbius-equivalent in Imperiatrix Pandora, a challenge for the Presidency from Lynda Bellingham’s Inquisitor, and a full-blown Dalek invasion alongside the Sixth Doctor and Evelyn Smythe (The Apocalypse Element) among other threats. She was also instrumental in the anti-time shenanigans that led to the Eighth Doctor becoming ‘Zagreus’ and being banished to an alternative universe. It’s a testament to the easy, watchable (or indeed listenable) characterisation that Ward brought to the Second Romana that the character has had such a prolific life beyond the scope of her on screen portrayal. Like all the best characters – companion or Doctor – Ward’s Second Romana evolved over time, so the chummy broad-smiling Time-Child of Destiny of the Daleks is a million light years away from the President Romana of the Gallifrey stories, while retaining the core strengths of the character – a spine of steel, a nose for trouble, and semi-sweet Hermione Granger charm by the bucketload. 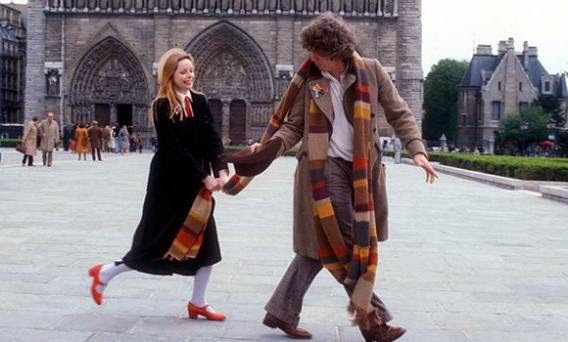 The good news for fans of the Second Romana is that she continues to record stories – coming soon will be a series of new adventures with the Fourth Doctor and the Second Romana – catch them when they’re released to find out new things and enjoy the further development of the relationship between the two. 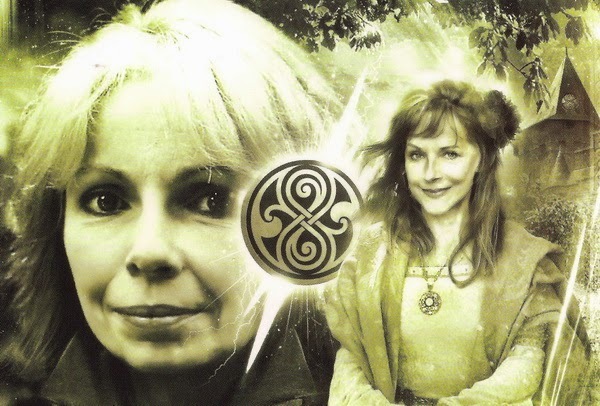 The Second Romana still lives in the hearts and imaginations of fans because compared to the two companions before, and certainly the four after her, she brought an enormous sense of fun, while keeping the intelligence and wit of her First incarnation. She was a classic Time Lady, but interpreted with a youth and exuberance that renewed the character for a whole new set of adventures.